3HC partnered with the Crystal Coast Hospice House Foundation in 2013 to operate the SECU Crystal Coast Hospice House. Located in Newport, North Carolina, the Crystal Coast Hospice House is the only facility for the terminally ill located in the Crystal Coast region. This area includes Carteret, Craven, Onslow, Jones and Pamlico Counties. 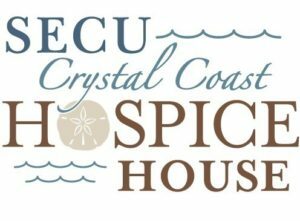 Designed in the style of a warm and welcoming coastal mainland home, the SECU Crystal Coast Hospice House surrounds patients and their loved ones with the comforts of home when their care can no longer be managed at home. The facility, named SECU Crystal Coast Hospice House in honor of the $1 Million donation by the SECU Foundation, offers ten private suites. Six suites are dedicated to acute care and four to residential. Each spacious suite is fully furnished & equipped with a sleeper sofa, chest of drawers, recliner, residential lighting and private bath & shower. Medical components are discreetly screened by a louvered cabinet. Tile, carpet, and hardwood floor coverings give the hospice house a touch of home. Patient suites also have private patios with rocking chairs to enjoy the beautiful campus. Patients have access to a walk-in patient whirlpool spa equipped with therapeutic jets. Additional amenities add to the home-like ambience and include a family room with a fireplace, a home office/study with a fireplace, and a children’s room with a multi-media play nook, WII and books and games. Two sunrooms with tiled flooring and ceiling fans complement each patient wing and provide families with a quiet retreat to relax and visit when their loved ones are being attended to. A nondenominational chapel, sponsored by numerous faith organizations in the community, provides a place for all to pray, meditate and find comfort in spiritual guidance. A full kitchen and dining area offers a gathering place for families and patients to enjoy meals together or to grab a quick snack or meal. A family laundry room enhances convenience for patients and their loved ones if clothing or other personal items become soiled. All areas offer natural lighting and residential style appointments such as original artwork donated by numerous local artists and lamp lighting, books, televisions and ceiling fans. The warm and welcoming environment of the hospice home is complemented by natural landscaping over the 11-acre campus; porches; terraces; a memorial garden and brickyard, walking paths, as well as a butterfly garden; gazebos; and two ponds with fountains – all essential to supporting patients, families and friends as they celebrate the precious time they have together.